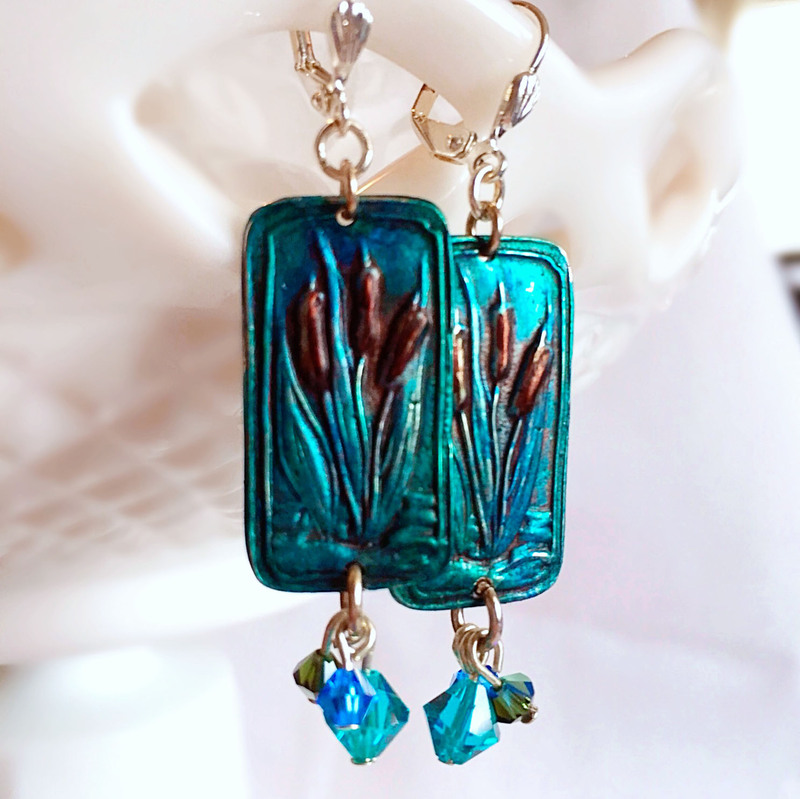 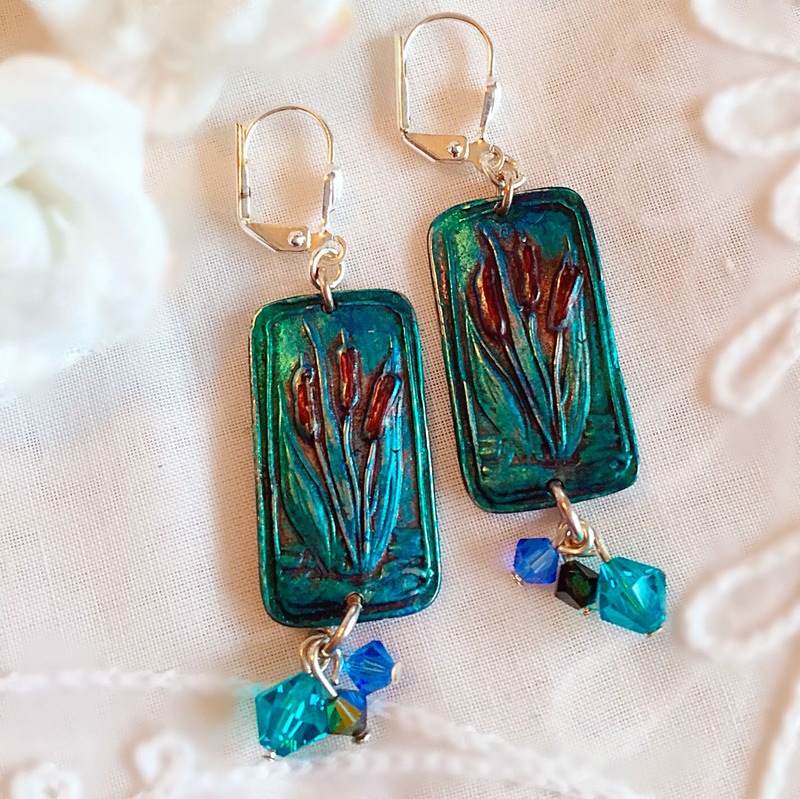 Teal blue/green cattails dangle from leaverback earrings as matching Swarovski crystals dangle below on these hand painted earrings. 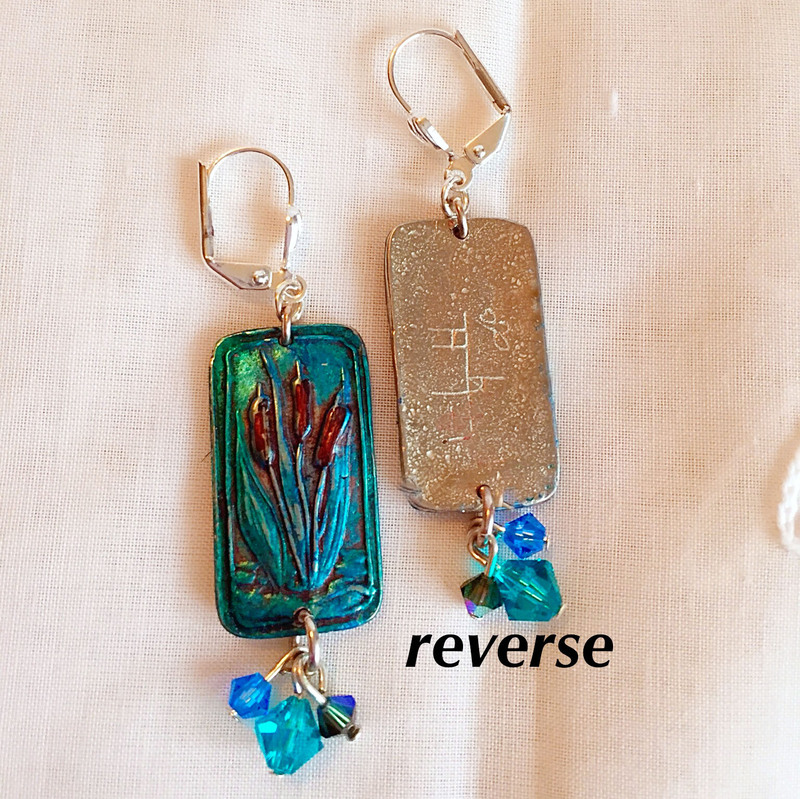 These pretty earrings feature pewter rectangles which I painted and finished with a durable clear sealer. 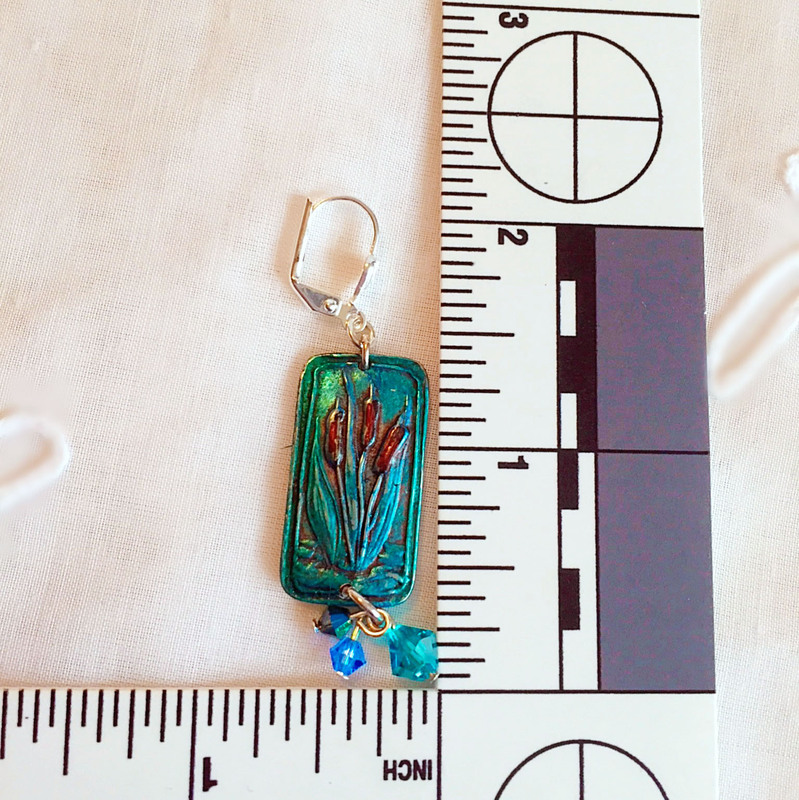 I then attached Swarovaski crystal beads and leverback ear wires.